As noted in that chart, some get better like Canada in 1992. Some still stay the same and some do noticeably worse like Japan in 2002 and Italy in 2010. Sports Illustrated predicts Canada to win a total of 31 medals including eleven gold. That’s an awful lot but not impossible. Patrick Chan – Figure Skating: Canada has a proud legacy in figure skating. So proud you could say figure skating is rightfully third behind hockey and curling as our national sport. Our legacy is there. 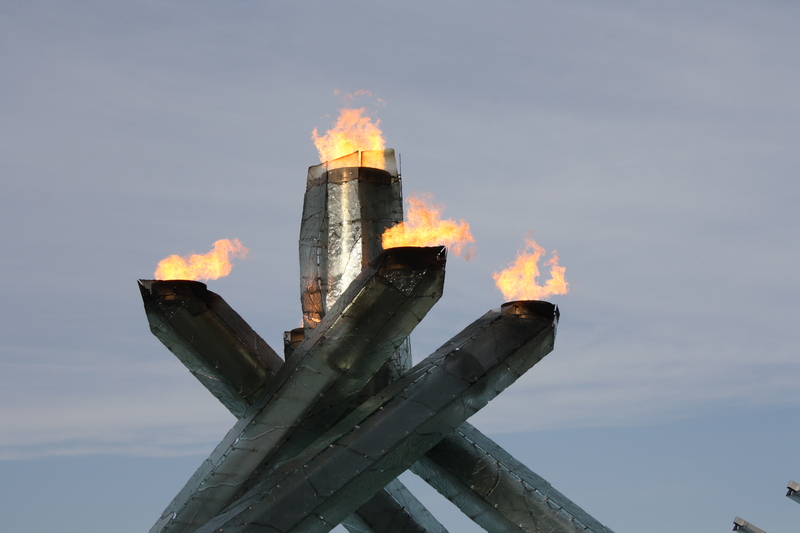 Canada has also left every Winter Olympics since 1984 with at least one medal in Figure Skating. 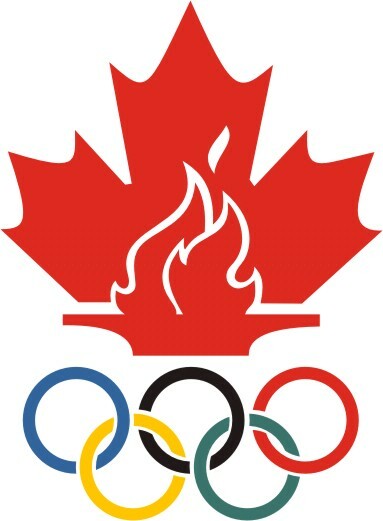 Canada is one of only five countries to win twenty or more Olympic medals in figure skating. We have Olympic champions in three of the four returning figure skating categories. The only one we don’t have is in the Men’s Singles event. Four bronze medalists, two double-silver medalists but never a gold medalist. This could finally be the year. Patrick Chan has Canada’s best chances. He’s been national champion since 2008 at the tender age of 17, a world Championships medalist every year since 2009 and a World Champion three times starting in 2011. He has looked good this season, winning two of his three international competitions this year losing only the Grand Prix of Figure Skating. 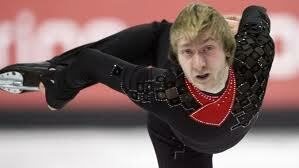 He has looked good in practice here in Sochi and appears confident he will win. However he will have rivalries from Kazakhstan’s Denis Ten who finished behind him at last year’s Worlds and Russia’s Evgeni Plushenko who’s making a comeback. Also expected to challenge is Spain’s Javier Fernandez and Japan’s Yuzuru Hanyu: the latter two of which are coached by Canadian double-silver medalist Brian Orser. In fact it was Hanyu who gave Chan his only defeat this year at the Grand Prix back in December. So will he be the first Canadian men’s champion or the seventh medalist? It will all be decided on the 13th and 14th. Erik Guay – Alpine Skiing: Remember the Crazy Canucks? Yeah, Canada had an impressive legacy in Alpine Skiing on both the World Cup circuit and the Olympic Games in decades past. Nancy Greene, Kathy Kreiner, Ken Read, Steve Podborski, Kerrin Lee-Gartner, we all remember them. Problem is it seems like it’s all in the past. The last Olympic medal was a 1994 bronze in Men’s Downhill by Ed Podivinsky. Canada’s top bet to get back on the Olympic podium is Erik Guay. Guay is 2010 World Cup winner in the Super-G and 2011 World Champion in the Downhill. This year he has ranked in the Top 3 in the men’s downhill on the World Cup circuit. However he was sidelined temporarily in January due to a minor knee injury. But he’s confident he will be ready to perform on February 9th. Actually Erik is not the only Canadian alpine skier with good chances to win a medal. Healthy medal chances also come with Marie-Michele Gagnon who is currently ranked fourth in World Cup standings in the slalom and just won her first ever World Cup race–a super-combined event–just last month in Austria. Will a new generation of Crazy Canucks arrive in Sochi? The Rosa Khutor Alpine Resort will set the stage. Alexandre Bilodeau – Freestyle Skiing: Alexandre isn’t just simply the first Canadian to win gold during Vancouver 2010. He’s the first ever to win gold on Canadian soil as the 1976 Summer Games in Montreal and the 1988 Winter Games in Calgary failed to produce a Canadian Olympic champion. Since Vancouver he has made many public appearances and has graduated from college. His competitive drive has not deterred. He has won moguls silver at the past two World Championships and has already won three of the six moguls events on the World Cup circuit. He is a big favorite to win at what he says will be his last Olympics but his top challenge will come from fellow Canadian Mikael Kingsbury who is 2012 and 2013 World Cup winner in moguls, World moguls champion in 2013 and has won the other three World Cup events from this year. In fact Sports Illustrated predicts Kingsbury to win gold and Bilodeau to win silver. The stage for Canadian vs. Canadian will take place February 10th. Charles Hamelin – Short-Track Speed Skating: There’s a lot of talk for the possibility of the first ever Canadian four-time Olympic champion. One possibility, actually three, is in women’s hockey which I will talk about later. Another possibility is in men’s short track speed skating with Charles Hamelin. You could say that short track is in his blood. His younger brother Francois was part of Canada’s gold medal-winning relay and his father Yves is the current national director of the national short track team. Hamelin has had an illustrious career which includes two Olympic golds from Vancouver and a silver from Turin in 2006 as well as 26 World Championship medals, eight of them gold. In fact at last year’s World Championships, Hamelin was part of the gold medal-winning relay and won three individual bronzes. Charles comes to Sochi as the reigning leader in the overall World Cup standings as well as leading the 1000m and 1500m. His path to more gold will not go unchallenged. His top threats come from Russia’s Viktor Ahn and South Korea’s Sin Da-Woon. Plus there’s the sport itself which is known for its slipperiness and frequent falls. It will all be decided at the Iceberg Skating Palace. Alex Harvey – Nordic Skiing: Skiing sure runs in the family. It was natural that Alex Harvey take up cross-country skiing. His father Pierre was Canada’s best ever cross country skier when he was competing during the 80’s. In fact I myself remember back during the Calgary Olympics Pierre was giving Canada its best-ever finishes in the cross country events. Sure they were between 14th and 20th but they were still new achievements for Canadian skiers. Alex, who was actually born in September of that year, has taken achievement to new levels. He now has Canada’s best ever men’s finish at an Olympic Games: fourth in team sprint with teammate Devon Kershaw. He and Kershaw would become World Champions in that event in 2011. Harvey won bronze in the sprint at last year’s Worlds. This season he has won two World Cup races. Sports Illustrated predicts him to win bronze in the sprint. However he’s pressed to win Canada’s first even men’s cross country medal by teammate Devon Kershaw who finished second to Harvey in a World Cup sprint event. He will also be challenged in winning the sprint event by World Champion Nikita Kryukov of Russia, World Cup sprint leader Josef Wenzl of Germany and Italy’s Federico Pellegrino who’s ranked second in the sprints. The Laura Biathlon and Ski Complex is the stage. The Dufour-LaPointe sisters (Justine, Maxime and Chloe) – Freestyle Skiing: It’s not uncommon that you have siblings competing together at the same Olympics. Sometimes in the same event. But three? And all three of them in the same event? That’s the case of the Dufour-Lapointe sisters in moguls: Maxime who turns 25 on the 9th, 22 year-old Chloe and 19 year-old Justine. The first excitement came when Chloe qualified for the Vancouver Games. Bigger excitement came when Justine won bronze at last year’s World Championships. However the excitement has been happening this year on the World Cup circuit. All six World Cup meets this year has seen at least one of the three on the podium with Justine winning two events and Chloe winning one. Currently on the World Cup circuit Justine ranks second, Maxime third and Chloe fourth. It’s possible the sisters could even sweep in Sochi. However blocking their path is defending Olympic champion, 2013 World Champion and World Cup leader Hannah Kearney of the U.S. American Heidi Kloser of the U.S. who is ranked fifth in the World Cup also poses a challenge as well as Japan’s Miki Ito who finished second at last year’s Worlds. It will all be decided February 8th. Canada’s Hockey Team (men and women): Every Winter Olympics you can’t avoid the talk of Canada’s chances in hockey. Especially in men’s hockey. 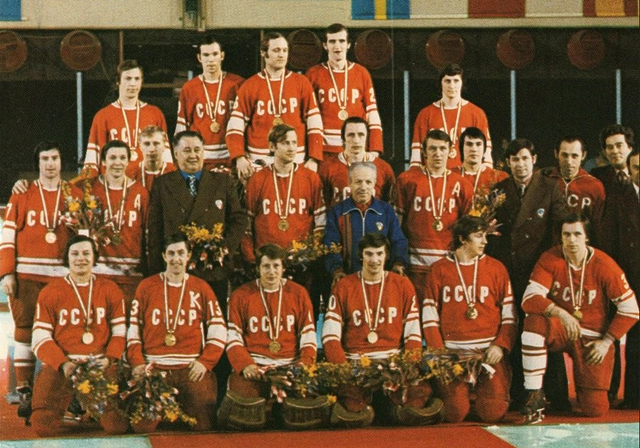 Hey, our national pride is at stake and winning it makes our OlympicsEver since NHL players were allowed to compete for the first time back in 1998, it’s always the challenge to prove themselves first among at least six equals. But we’ve succeeded with wins in 2002 and back in Vancouver. However we’ve found ourselves off the podium in 1998 and ousted in the quarterfinals in 2006. Team Canada’s 24 members are all NHL players and eleven were part of Canada’s gold medal-winning team from 2010. Sidney Crosby who scored the ‘golden goal’ back in Vancouver is the captain this time. Team Canada has failed to win a World Championship medal ever since Vancouver but is predicted by Sports Illustrated to win bronze. They face challenges from 2013 World Champions Sweden whom SI predict to win and from the home country of Russia. It will all be decided at the Bolshoi Ice Dome by the 23rd. As for the women, Canada has very good chances to win gold again. If they do, three women–Haylee Wickenheiser, Caroline Ouellette and Jayna Hefford–could become the first Canadians to win four Olympic golds. However their top rival as always is the United States. In fact the U.S. beat Canada for the 2011 and 2013 World Championships. It’s just a question of which of the two will take it on the 20th. Or a question of if a European team will upset. It’s possible. So there you go. Those are some Canadians to look for at the Sochi Games. I know they’re more than seven but I couldn’t resist adding more. Besides people who like my Olympic writing probably don’t mind anyways. Besides since I wrote about the athletes from around the world yesterday, I figure you were due some Canadians. They should provide for a lot of great moments and more national heroes. 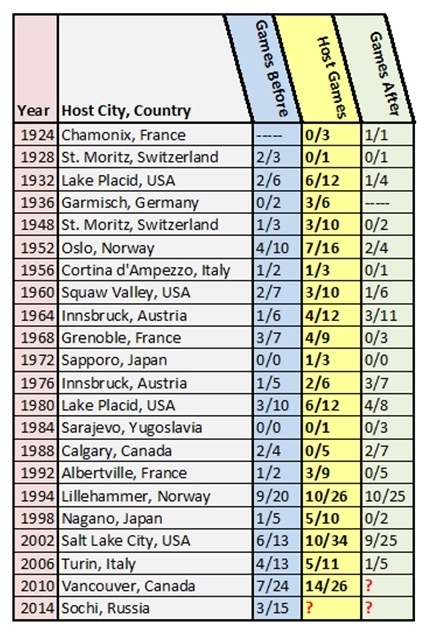 Interesting how ever since the 90’s Canada has become a superpower in winter sports like Austria and Norway. Before them we either had a lousy winter and a good summer or a good winter but a lousy summer. There have been one or two years where we had both a lousy winter and summer but that’s in the past. Anyways let the Games begin!